Tuffy says: Azuls Wild Angel is Breeding Stock. This filly is the total package! Her brother is an AQHA ROM. She has all of the potential in the world!! If you like big butts then this filly is for you!! She is perfect all the way around. I can not find a single fault on this beauty!! 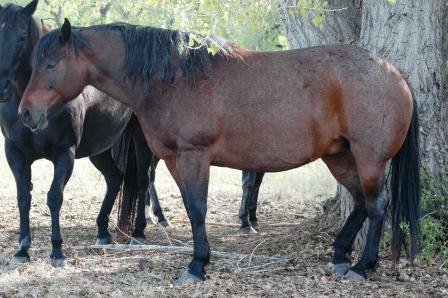 Her mom is a great Gay Bar King bred mare who is one of those once in a life time broodmares. I had her listed for sale but have changed my mind. (its a girl thing:) I would love to try to keep this one for the future.